Kvernes Stave church sits on a mound above the road, looking out along the length of Kvernesfjorden in the small village of Kvernes in Averøy principality of Norway. Kvernes church is one of the youngest churches in Norway built around 1300AD although it has been modified and repaired over the years. The vicar, Anders Eriksen paid for numerous modifications and decorations to be added during his tenure from 1603 until 1662. However, by 1725 the King had sold the church to a private owner where it remained until 1872 when it was bought by the parish. The private own rebuilt it in 1776 and in 1810 decided to add a steeple to the design. Even with these modifications it remains one of the smaller churches in Norway with the nave measuring just 16 metres by 7.5 metres and a tiny choir measuring 7 metres by 7.5 metres. Despite this it can seat congregations of up to 200 people. The decoration is simple but detailed with wooden pews and painted decorations. The new parish church in Kvernes was built in 1893, a large white imposing building that overshadows the older Stave Church. The original Stave Church was meant to be demolished, but in 1896 it was sold to The Society for the Preservation of Norwegian Ancient Monuments and still survives today. 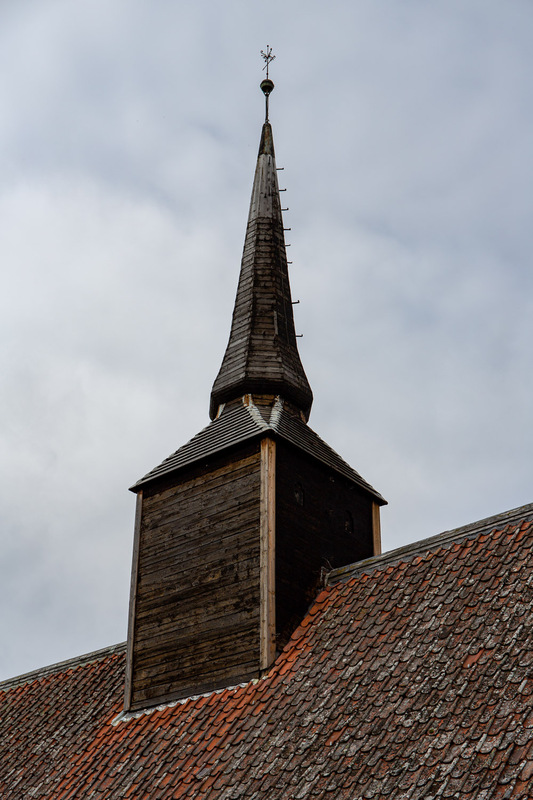 The name “stave church” comes from the construction method. The church is built on pine posts known as stafr in old norse with the substantial lintels and roof supported on the posts. Once common throughout Europe this style of building is now only really seen in Norway. Whilst this church has been on the site for over 700years archaeological finds and the presence of the phallic stone, historical Thing district and the grave fields suggest that a church may have been on the site 300 years earlier if not longer.